Nicely kept 3 bed. 2 bath. doublewide (title eliminated) on large (10,063 Sq. 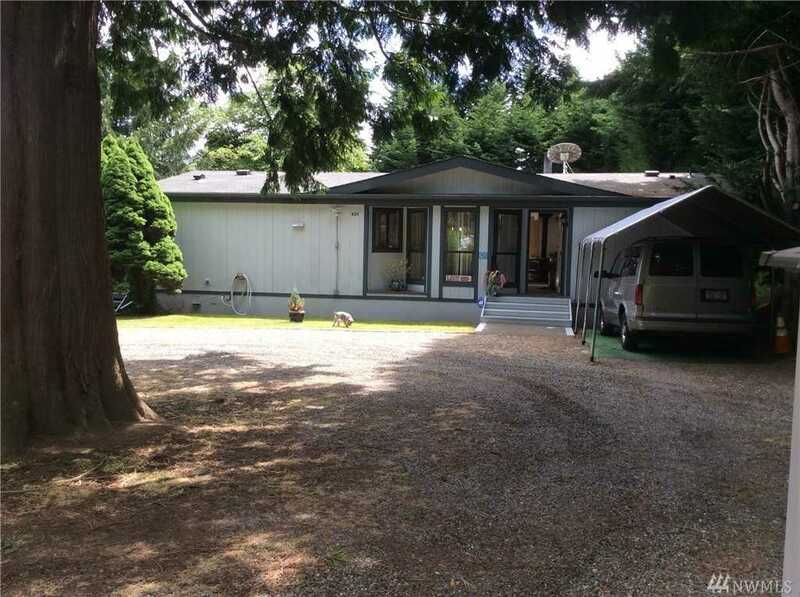 ft.) flat, secluded lot at the end of private road with lots of parking space for cars, boat or motorhome/RV. Super privacy. Nice views. Great access to all freeways and shopping. Remodeled bathroom. Master bath with jetted tub. Large kitchen with eating area and spacious pantry. Certified wood stove in a living room to enjoy cozy evenings in cold winter seasons. Do not miss it, come, look and make it your home. Directions: Driving N on Military Rd L on 168th Lane to the home at the end.